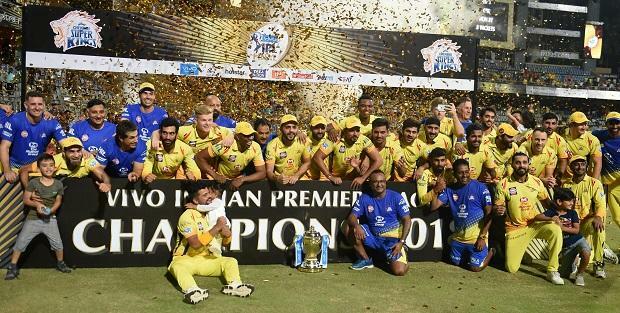 In the first match of VIVO Indian Premier League 2019 (IPL 2019), defending champions Chennai Super Kings (CSK) will start their quest for a fourth IPL title when they meet perennial underachievers Royal Challengers Bangalore (RCB) at M A Chidambaram Stadium in Chennai on Saturday. For Virat Kohli, it couldn't be a bigger statement if his young side could start off with a bang at Mahendra Singh Dhoni's "spritual home", a task which will be easier said than done. CSK's core members are the oldest in IPL 2019: Dhoni and Shane Watson are 37, Dwayne Bravo is 35, Faf du Plessis is 34, Ambati Rayudu and Kedar Jadhav are 33, and Suresh Raina will turn 32 soon. Chennai Super Kings have two spinners with truckloads of experience: both Tahir, 39, and Harbhajan Singh, 38, have ability to change the complexion of a game with one-off over. Even the two out-of-favour India players, leg-spinner Karn Sharma, 31, and seamer Mohit Sharma, 30, are on the wrong side of thirties. However, when it comes to match awareness, the CSK players are second to none. While CSK is a three-time champion, the Bengaluru franchise is probably the biggest underachiever despite boasting of some of the best names in its squad. The outcome of Saturday's game will depend on which team bowls better and holds its nerve as both side have players who can turn a match on its head in a jiffy. While the home team has a well-balanced squad with most of the bases covered, RCB is facing concerns over the availability of some foreign players at certain stages of the tournament. Leg-spinner Yuzvendra Chahal will again be the key man for RCB as he has been over the past seasons and will need the rest of the bowling attack to step up. CSK vs RCB match live streaming will be available live on Star Sports 1 HD, Star Sports 1 in English Commentary and Star Gold in Hindi Commentary. One can also live stream the CSK vs RCB match on Hotstar app and website. RCB squad: Virat Kohli (captain), AB de Villiers, Parthiv Patel (WK), Marcus Stoinis, Shimron Hetmyer, Shivam Dube, Nathan Coulter-Nile, Washington Sundar, Umesh Yadav, Yuzvendra Chahal, Mohammed Siraj, Heinrich Klaasen (WK), Moeen Ali, Colin de Grandhomme, Pawan Negi, Tim Southee, Akshdeep Nath, Milind Kumar, Devdutt Padikkal, Gurkeerat Singh, Prayas Ray Barman, Kulwant Kejroliya, Navdeep Saini, Himmat Singh. CSK squad: MS Dhoni (captain & WK), Suresh Raina, Ambati Rayudu, Shane Watson, Faf du Plessis, Murali Vijay, Kedar Jadhav, Sam Billings, Ravindra Jadeja, Dhruv Shorey, Chaitanya Bishnoi, Rituraj Gaikwad, Dwayne Bravo, Karn Sharma, Imran Tahir, Harbhajan Singh, Mitchell Santner, Shardul Thakur, Mohit Sharma, K M Asif, David Willey, Deepak Chahar, N Jagadeesan (wk).